Is there any paperwork or document for the mechanical systems of 39 Parkland Crt, Aurora, Ontario? I need more information about the property at 39 Parkland Crt, Aurora, Ontario. How ist the neighborhood, location and nearby amenities for 39 Parkland Crt, Aurora, Ontario? I have questions about the roof, foundation, insulations and mechanical issues of 39 Parkland Crt, Aurora, Ontario? I need more information about property details. What's wrong with this house? Is this a short sale? Is there any maintenance for 39 Parkland Crt, Aurora, Ontario? What is this property worth in today's market? What are "closing costs", and how much? What steps should I take when looking for a home loan? What price home can I afford? Is my credit good enough to buy this house? What are the best mortgage options for me? How flexible is the seller on the asking price? How low can I consider offering for 39 Parkland Crt, Aurora, Ontario? 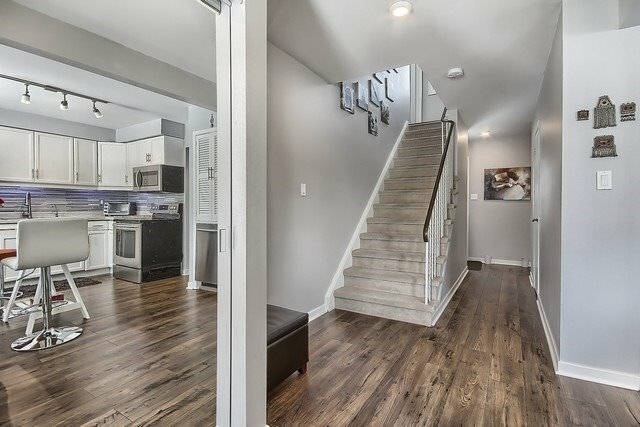 Renovated Townhouse In Heart Of Aurora,Rare 4 Bedrooms On Quite Court,Overlooking Green Space Of Machell Park. 2 Min. Walk To Yonge ,Close To Restaurants, Shopping,Church,Tennis Court,Parks. S/S Fridge,Stove,Dishwasher,Range Hood, Microwave(All 2016),Back Splash(2016),Washer/Dryer,Water Softener/Filter,Shingle (2012),Furnace(2017),Pot Lights(2016),Garage Door Opener+ 1 Remote.Chandelier In Dinning Room Is Not Include.